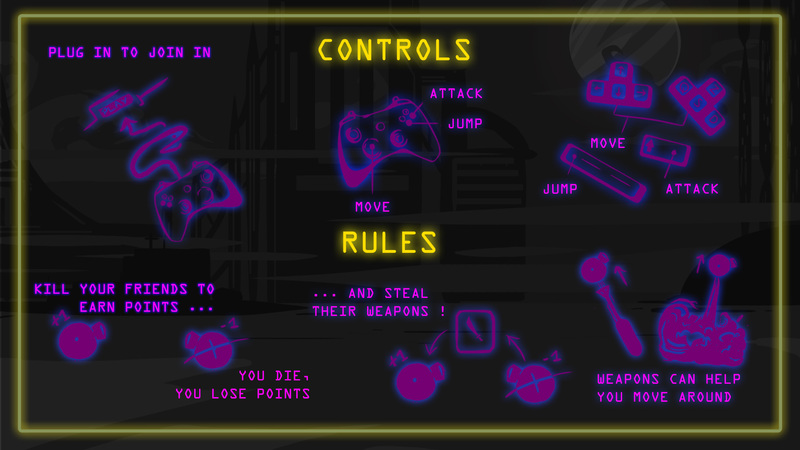 WELCOME TO THE NEON ARENA, where friends come to slaughter each other in an unstoppable battle. 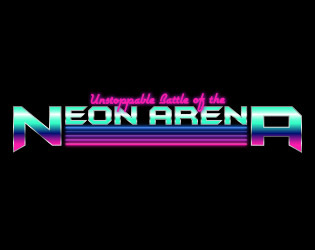 Unstoppable Battle of the Neon Arena is a two to four player local game in which the players, people who came to know and love each other after years of friendship, kill each other with sabers, missiles and laser beams. 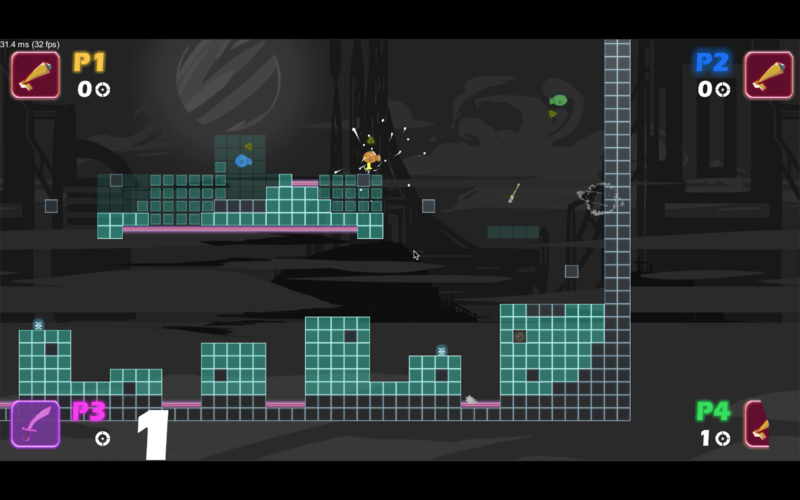 Anyone can enter the arena mid-game by plugging a controller in. 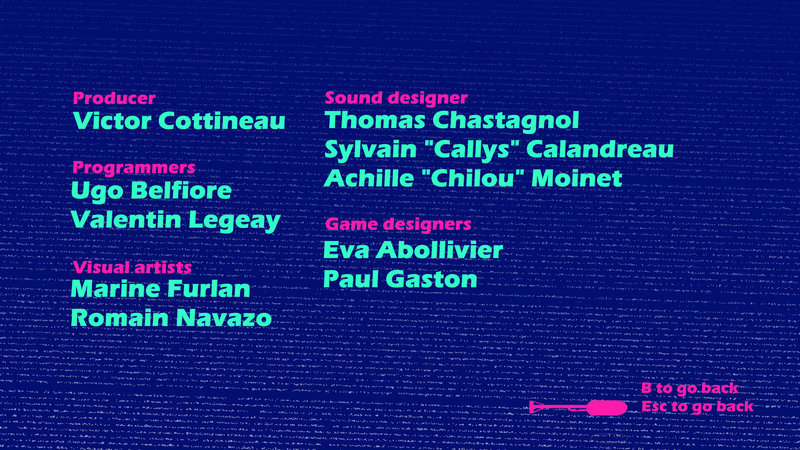 This game was made in 72h for the Ludum Dare 40.